Frank&apos;s Pizza on Bloomfield at Clifton Avenue is old-style pizza joint - you stand at the counter under fluorescent lights, and order what might be the best slice of "Buffalo Chicken" pizza you&apos;ve ever had. The combination of chicken, buffalo sauce and ranch dressing with a hint of blue cheese, and fresh mozz, and this pizza slice is worth every diet-breaking bite. is a Newark institution. For more than 50 years, this family run Jewish deli has been feeding the power-lunchers, students, devils fans, event go-ers and even the. It is a magnet for college students, local business people, visitors - pretty much everyone, including the occasional Ranger fan! What to eat? 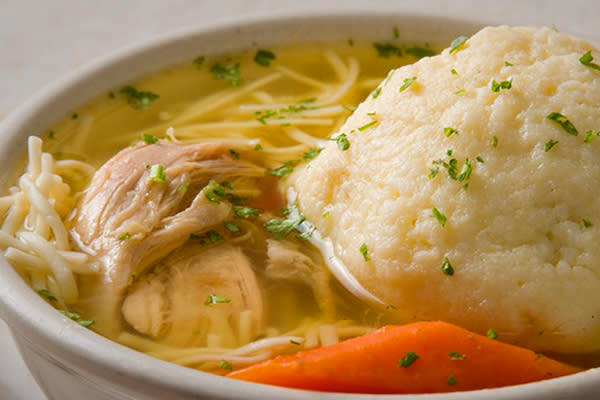 More like, what NOT to eat, and that would be nothing - try the pastrami or a turkey sandwich (which are likely bigger than your stomach) and the home-style chicken soup (with a ginormous matzoh ball of course! ), and be sure to try all of the pastries and the stuffed cupcakes. Oh, and yes, they have fully stocked bar, because a shot of whiskey really does go with everything. Located ‘one block from the Rock&apos;! Art Kitchen - is the dynamic/community centered/coffee shop/eclectic hangout you wish was open (and down the street from you) all the time. Serving affordable homemade soups (chickpea-kale, spinach lentil), fresh salads (local favorite includes curry chicken), pressed sandwiches, fresh juices, coffee - you get the picture, oh, and did I mention killer cookies and desserts? Add that they offer free wifi and you may never leave. Yeah. It would be sinful to miss this. Harvest Table: Healthy eating isn&apos;t just a good idea, it&apos;s a great reality! For the past seven years Harvest Table owner Carissa has been doling out ‘clean food&apos; from her cozy storefront on Halsey Street. 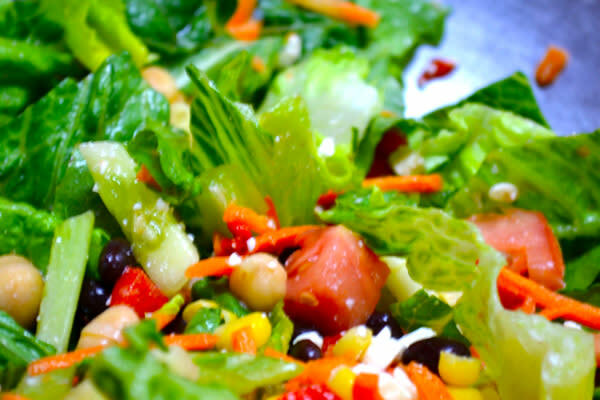 Employing the tried and true ‘have it your way&apos; philosophy, patrons who prefer to create their own, without actually making their own, can combine any salad or sandwich ingredients to satisfy daily cravings. Those who feel like going with the flow, may select any of the tasty treats that are on the menu, a few faves include Green Giant Salad pesto chicken, feta, broccoli, cucumbers, tomatoes, carrots, onions, balsamic vinaigrette & mesclun greens; or the Turkey & Bacon Club loaded with house-roasted turkey, bacon, cheese, tomatoes, lettuce, Russian dressing stacked on 3 slices of toasted 8-grain bread. This is one habit no need to break. KRUGS- Deep in the heart of the Ironbound, is a family run tavern that has been serving up fresh food and cold drinks since 1932. Krugs is commonly known for their huge and fantastic burgers. Im not going to lie: this is not the ideal dining spot for those with food restrictions - unless you want a dinner of pickles and burger veggies (not to be confused with a veggie burger). That said, non-meat eaters can opt for chicken or shrimp parmigiana, delightfully covered in the family&apos;s secret recipe for sauce and of course cheese. However, if it is fun you want - this is the spot. Giant portions, sports on the TV, friendly bartenders and servers, walk in happy, leave even happier. While there are a few decadent treats included above, this list would be incomplete if it did not mention the one item I have known people from as far as Seattle to come to Newark exclusively to enjoy, and that, is the homemade Tres Leches cake at Mompou Tapas and Wine Bar on Ferry Street in the Ironbound. This is a no-nonsense experience not to be taken lightly. 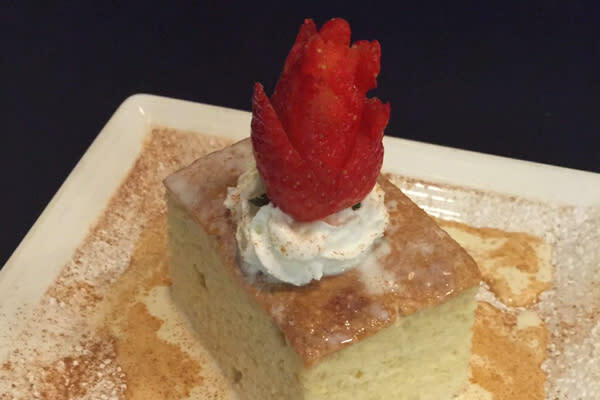 Consisting of a generous slice of sponge cake, topped with perfectly blended three milks, whipped cream, and strawberries (for those partaking who ‘just want a little something&apos;). Others may want to share this heavenly treat, tell them to order their own, and only ask for one fork.